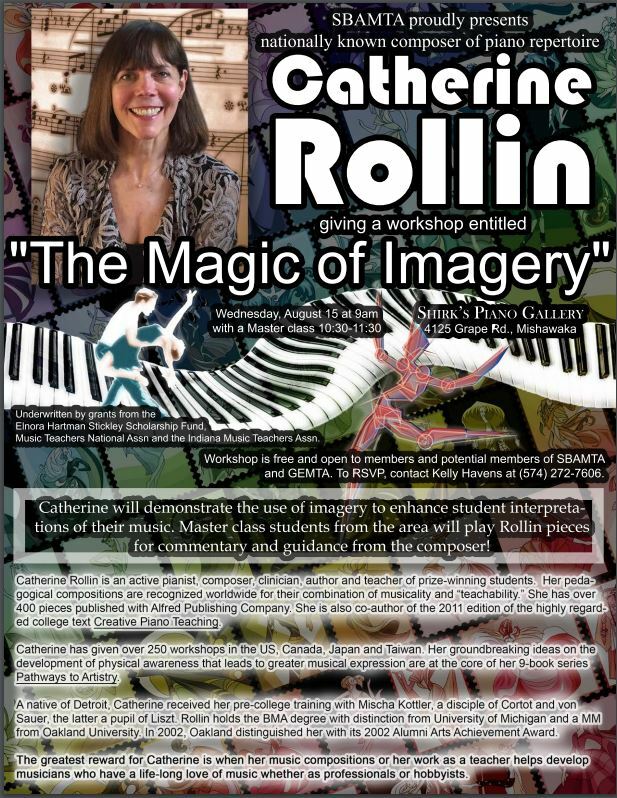 IMTA is pleased to announce we will be hosting Dr. Christopher and Katherine Fisher as our clinicians for the upcoming IMTA state conference to be held at Sweetwater Sound in Fort Wayne on October, 5, 6. Details will continue to be made available on the conference page. Online registration for the conference will be open no later than August 1 here on the IMTA website. Dr. Christopher Fisher is Professor of Piano at Ohio University School of Music in Athens, Ohio where he chairs the Keyboard Division, directs the graduate piano performance and pedagogy programs, and coordinates the Ohio University Piano Pedagogy Seminar. He is Director of Studies for the Honors Tutorial College Music Program. Recognized for his teaching, Dr. Fisher was the 2010 recipient of the Ohio Music Teachers Association Collegiate Teacher of the Year and the Ohio University School of Music Distinguished Teaching Award. Dr. Fisher is the author of Teaching Piano in Groups (Oxford University Press, 2010) and co-author of the revised and expanded edition of Piano Duet Repertoire (Indiana University Press, 2016). He has published in leading keyboard journals and is a contributing composer for the innovative piano method, Piano Safari (www.pianosafari.com), which is used by piano teachers and students around the globe. His educational compositions are published by Alfred Music and Piano Safari. In demand as a workshop and master class clinician, Dr. Fisher has presented lectures internationally, including the national conferences of the Music Teachers National Association, National Conference on Keyboard Pedagogy, the National Group Piano and Piano Pedagogy Forum, the Australasian Piano Pedagogy Conference, and the Encontro Internacional de Pianistas de Piracicaba Brasil. 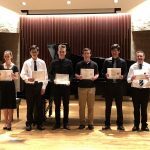 Dr. Fisher has also served as a guest lecturer at leading conservatories and universities including recent engagements at The Juilliard School. Katherine Fisher is co-author of the Piano Safari Method (www.pianosafari.com) for children. She and Dr. Julie Knerr have been working on their piano method since their time in school together at the University of Oklahoma when they both realized they had mutual dreams of writing a piano method that would incorporate all the best elements of the various methods they had been using in their teaching. She is an affiliate faculty member of the Athens Community Music School at Ohio University in Athens, Ohio. 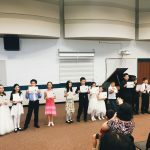 Her responsibilities include teaching private piano lessons as well as coordinating the Piano Preparatory Program (group lessons) for children who are beginners at the instrument. 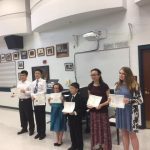 Katherine is an active member of the Music Teachers National Association and presently serves as the Wellness Forum Chair for the Ohio Music Teachers Association. She presently serves in the capacity of Vice-President for Membership for the Southeast District of OhioMTA. Indiana Music Teachers Association expresses its deepest condolences to the family of Lon Sherer on his passing. Mr. Sherer was the 1989 Teacher of the Year and was a great teacher and musician. Many teachers have fond memories of his programs he gave for the Goshen-Elkhart MTA. Notes of sympathy can be made here. IMTA is happy to announce Frederic Chiu as our conference artist for the 2018 state conference to be held Friday and Saturday, October 5-6 at Sweetwater Sound in Fort Wayne. Chiu will perform a recital at Friday evening following the conference banquet along with an advanced masterclass on Saturday. 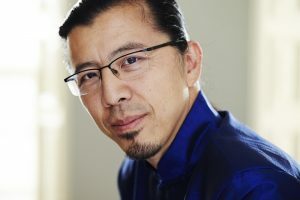 Frederic Chiu performs in major venues on five continents, such as Lincoln Center in New York, the Kennedy Center in Washington, The Chatelet in Paris, or the Mozarteum in Buenos Aires, as well as touring extensively in smaller and unusual venues. He collaborates with Classical music friends Joshua Bell, Pierre Amoyal, Gary Hoffman and the St Lawrence String Quartet, as well as non-Classical friends like jazz pianist Bob James, writer/storyteller David Gonzalez, Shakespearean actor Brian Bedford, and the clown Buffo, trying to bring the vivid live concert experience to as many people as possible. He has worked with conductors such as John Nelson, Stefan Sanderling, Rodolfo Fischer, Susan Haig, Bernhard Klee, Xian Zhang and Alexander Titov. 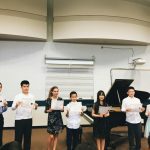 Among his recital programs, Frederic Chiu presents “Classical Smackdown”, a multi-year series where composers face off in head-to-head comparisons, with listeners voting for their favorite composer. After his first successful Smackdown between Debussy and Prokofiev, he presented Bach vs. Philip Glass in 2014, with results tracked at ClassicalSmackdown.com. Frederic Chiu has released over 27 recordings, including the most extensive complete piano works of Prokofiev, and works of Chopin, Liszt, Ravel, Mendelssohn, Brahms, Rossini and Grieg, as well as the Beethoven/Liszt Symphony V and the solo piano version of Carnival of the Animals. His latest projects include “Hymns and Dervishes,” music of Gurdjieff/de Hartmann, and Distant Voices: Piano music of Claude Debussy & Gao Ping. He is a regular on St. Paul Sunday and Performance Today, and a favorite of public radios across the country. 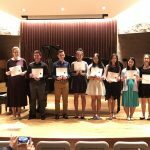 Chiu’s teaching program Deeper Piano Studies – a philosophic and holistic approach to piano playing – has been presented at the Juilliard School, Indiana University’s Jacob School of Music, the Manhattan School of Music, the New England Conservatory, the Banff Centre and most of the National Conservatories in China. He is also co-founder and director of Beechwood Arts and Innovation in Connecticut, focused on the crossroads between art, innovation and transformation. His efforts to promote music coincide with his desire to foster peace and understanding, recently recognized by a Senatorial Commendation from the United States Congress.